Seriously, how much fun is taking an online quiz? I mean think back to the quizzes we use to take in magazines with our girlfriends, I was obsessed! Now imagine how excited I was when I discovered Interact and their ability to allow me to create quizzes for my biz. YES! What an amazing opportunity to provide your audience with something fun and engaging, while also helping you grow your business (hello lead generation). 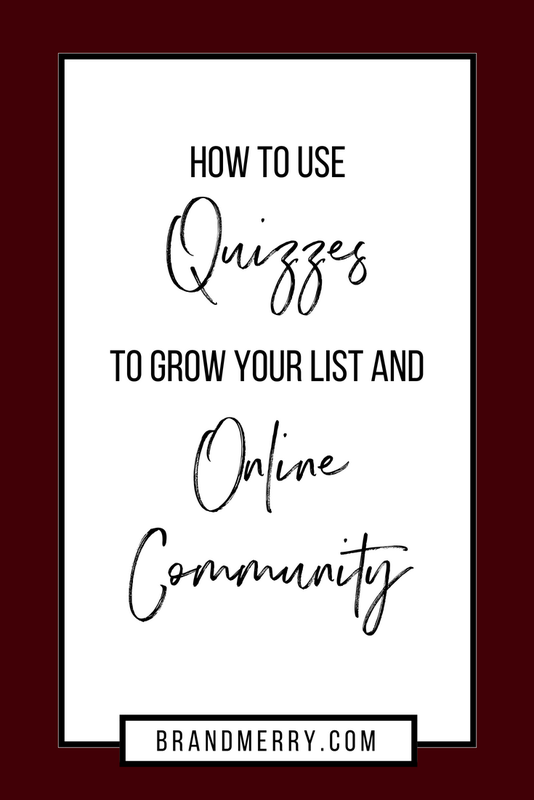 Today I want to show you how freaking easy it is to create a quiz for your brand and business in just a few simple steps. Decide on a topic. This is an awesome opportunity for you to create a quiz that is in alignment with your brand mission, voice and ultimately leads your audience to a program you offer. Think of something that will give your audience a sample of what it would be like to work with. Choose your results. You know I’m all about that reverse engineering and it’s super helpful when creating a quiz. Think of the different results you will have available for your quiz. 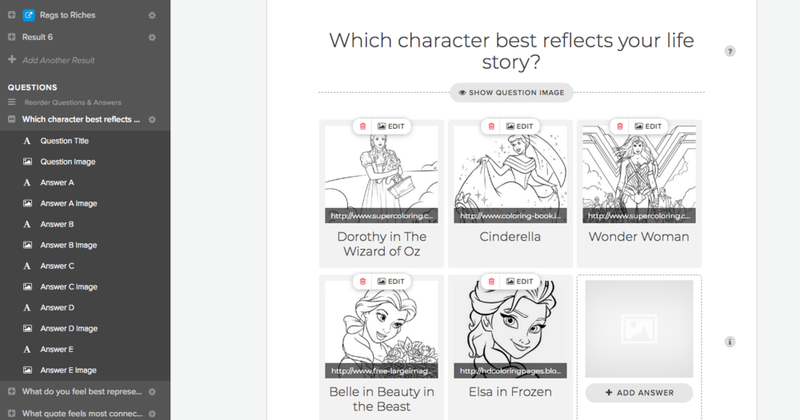 Once you’ve gained clarity on them you can easily add them to your quiz platform. Decide on your questions. I went old school with this one and wrote out all my questions and answers in a notebook. This helped me narrow it down to just 7 questions (the recommended number by Interact). You’ll want to map out the questions and answers and connect them to a specific result. I chose to work with the Interact platform to create my quiz, and so glad I did, it was so easy. I loved how simple it was to create, all the flexibility and integrations and the awesome help articles. Here’s a look at how I created my quiz in 7 easy steps. Any opportunity I have to create on brand content is right up my alley. 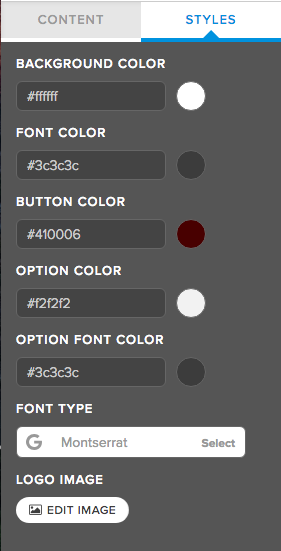 During this phase, I added my brand fonts and colors so it seamlessly connected to my other content online. You have the flexibility to add a quiz title and description. I created my cover photo in Canva to match my brand. The next step is to add in your results. You’ve already written these out so it should be super easy to just add them to the platform. You have the option to here to redirect your users to a landing page or keep them on the platform. I’ve shown you both below. First, you’ll set up the name of your response and add in the cover photo and description below. I wanted to host my results on my website, so all I had to do is create a new page on my Squarespace website and redirect the URL for each. Again, you’ll be really glad you did the pre-work here because it makes this process so easy. At this stage, you’ll enter in your questions for the quiz. You have the option to do text only answers or use images (I suggest a combination of both). You’ll repeat this step until all your questions have been entered. Once the questions have been entered you will go back and connect each answer to a result. This was so much fun because it makes this cool little spider web! For each question, you go to “Edit Result Correlations” on the top right-hand corner. Then select the circle next to your answer and the corresponding result. This might be the best part about Interact; they integrate with all major email marketing platforms include my personal favorite Convertkit. The integration process was super easy. 1) Set up your opt-in form. Remember we are using this to build your list so this is super important. 2) Integrate your email marketing platform. I use Convertkit and absolutely love them. 3) Add in tags and forms based on the various results. I wanted to send an email recap of the user's results so I created one single form in Convertkit for “Brand Story Quiz” and separate sequences for each result. Now onto the final step, I told you this was easy! The Interact platform has a bunch of options for sharing your quiz with the world and start growing your list with targeted leads. For my quiz, I opted to Embed on my landing page and add an announcement bar to my website. To embed on a Squarespace website all you have to do is grab the embed code from Interact, create a new page in Squarespace and add the embed block. Voila, you’ve got yourself a quiz lady! I’m telling you with an easy platform like Interact you’ll be seeing more quizzed from me very soon. If you’re interested in exploring your options with Interact, just click here. Remember quizzes do so much more than help you build your list, they also give your ideal client a better understanding of your brand and the work that you do while also providing value to your audience - which is what it’s really all about.